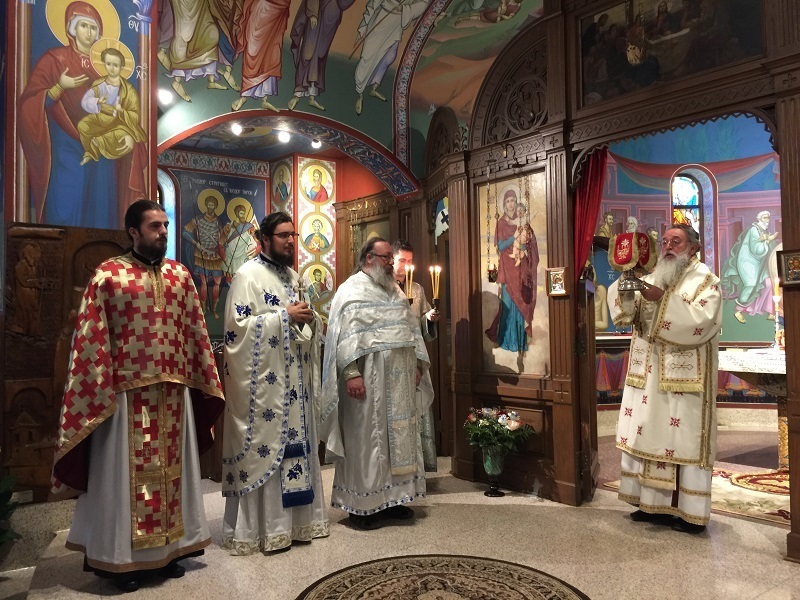 In the presence of His Holiness Serbian Patriarch Irinej, His Grace Bishop Longin of New Gracanica and Midwest America served the Divine Liturgy on July 18, 2017 at St. Sava Monastery in Libertyville. 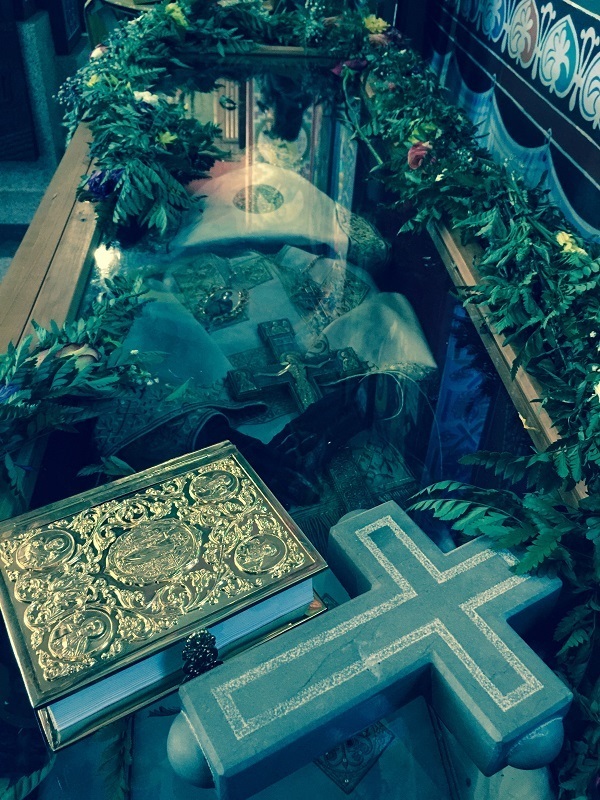 By the relics of the newly revealed St. Mardarije, concelebrating with His Grace were Protosindjel Serafim, of St. Sava Monastery, Hieromonks Sergije and Nektarije of New Gracanica Monastery and Libertyville Monastery, as well as Protodeacon Slobodan Vujasinovic from the Diocese of Srem. 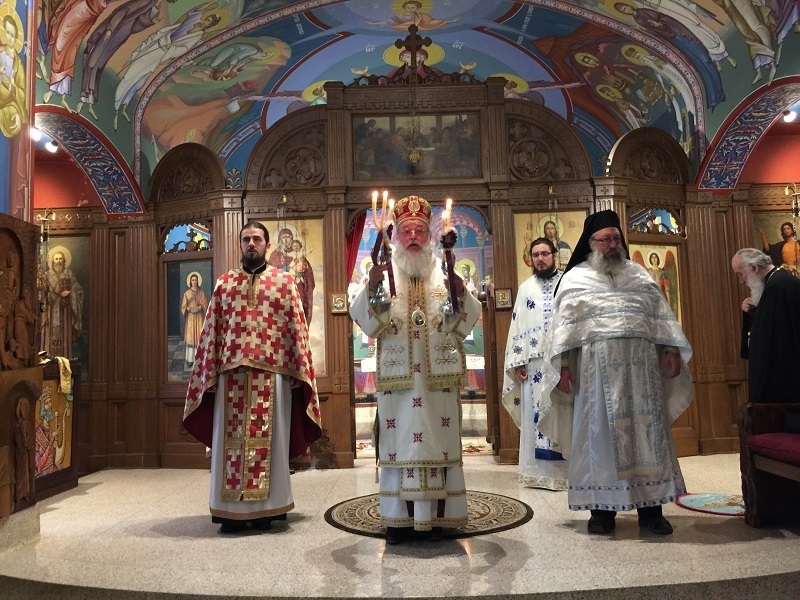 Besides Patriarch, also attending the Divine Liturgy was His Eminence Metropolitan Amphilohije. 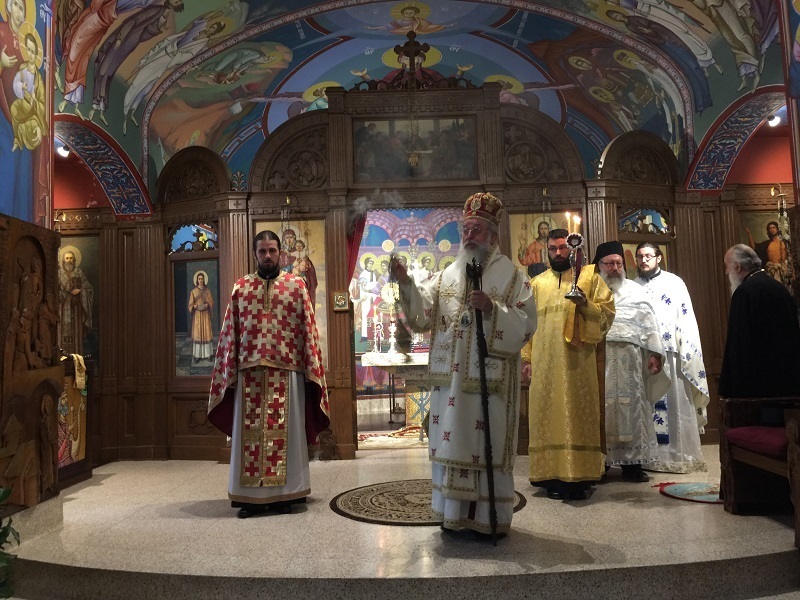 Singing the responses were the students of the St. Sava School of Theology in Libertyville. The octet was directed by Dragan Arsic, the dean of students of the School of Theology. Bishop Longin delivered a homily at the end of liturgy.